DecorAid shares tips on what to buy now, and what to add later. 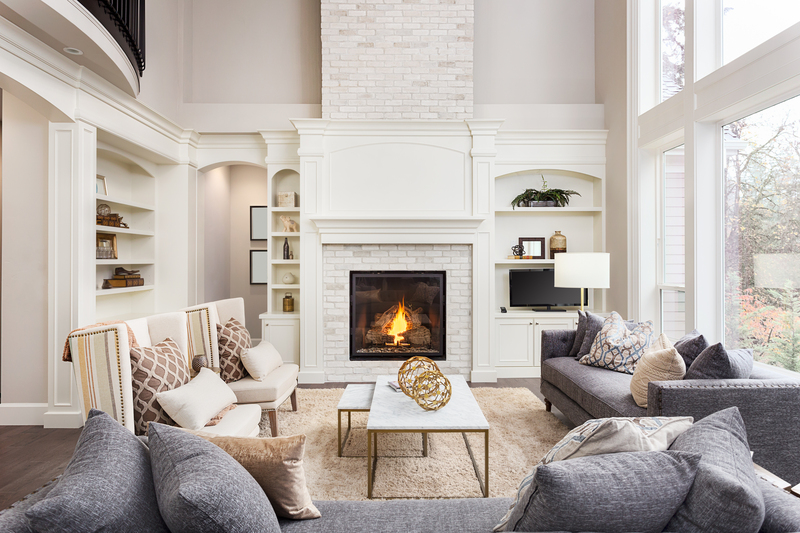 You’ve saved, you’ve methodically shopped around, and now that you’re ready to move into the right home for your needs, how do you begin decorating it? Just like Morty has helped reinvent and revolutionize the home buying and mortgage process, the high end interior design experts at Décor Aid have been trusted with decorating homes from coast to coast thanks to an equally refreshing take on helping clients feel settled in homes they both aspire to and deserve. So you can begin creating the home of your dreams, we turned to the design firm to help you better understand everything you need to know before you start decorating it. Maybe you’re coming from a small and challenging shared space where your decorative instincts were confined to just your bedroom, or maybe you were recently living in a studio. Whatever the case, by thinking of how various rooms throughout your home work together style-wise, it pays to keep everything consistent with a common thread tying everything together. It could be something as simple as a color scheme, or a design style – no matter what, keep in mind that consistency is key. Just like no building can be thoughtfully constructed over night, it’s almost impossible to properly decorate any home in one fell swoop – no matter the size. Instead of trying to decorate your new home as quickly as you can, relax, take your time and take comfort in the joy of going through the interior design process in a well-judged manner. This way you’ll save yourself from costly mistakes and furnishings that you won’t like in the long run, and in turn, your home will be all the more stunning to you by taking your time. It goes without saying that the idea of painting your home sounds like a quick and fun update to consider, that is until the first brush stroke gets applied. Instead of haphazardly painting your walls, consider how the color will affect the feel of the room compared to other rooms and how it will catch light for a better outcome that you’ll find works to your advantage for years to come. After all, who’d want to repaint their home every few years on their own because of an ill-informed choice? Time and time again, Décor Aid interior designers often report a common furniture placement mistake that serves almost no benefit to homeowners – no matter how large the space they have to work with is. And that’s that many homeowners, whether or old or new, have a stubborn tendency to push their furnishings flush against their walls. By doing so, you’ll miss the mark on creating intimate conversation areas, and you’ll lend a room a rigid, stuffy feel. Instead, take a cue from parlor-style living rooms and group furnishings together to keep everything conversational and cozy. By only shopping at one store, you’re certain to give your room a one-note vibe while replicating a lifeless showroom at that. And since every well-judged home needs a heady mix of décor to make it feel authentic, shop around and create a mix of various furnishings from different brands and eras to give your home a one of a kind bent. More often than not, new homeowners tend to bring their apartment dwelling tendencies with them and work to cover architectural details and oddities that they wrongfully think are blemishes. However, those architectural features can sometimes work to your advantage as they’ll once again, make your home all the more unique. And while you don’t need to make them central focal points, you should work around them and celebrate them as for now, they’ll make your home feel unique until your next renovation project. While it pays to be aspirational in some ways, when it comes to your new home, its best to face reality and work with what you do have. By doing so, you’ll have a much easier time confidently bringing everything together with ease and you’ll save yourself from costly mistakes. You’ve scored a new home, the most challenging part so far – congrats! Now that you’re ready to move in, here’s what you’ll need on day one, or the very least, some proper substitutes to get you through your first few weeks. It should go without saying that a bed is probably the single most vital investment you should instantly make for your new home, and the rest will come later. 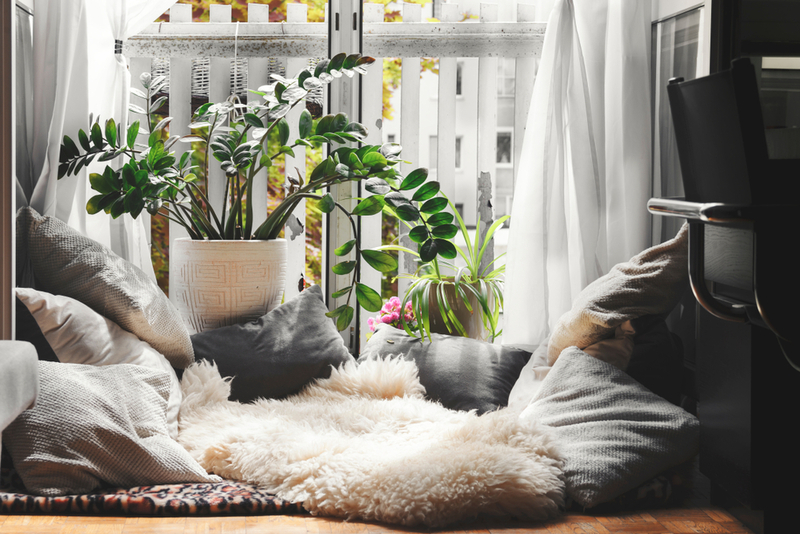 Even on day one, you’ll need a relaxing spot to sit back and take in your new home, and a new couch properly scaled makes for a sound initial investment and decorative foundation for when you begin realizing your home. After all, if you don’t already have lamps and other light sources to work with, you shouldn’t be sitting in the dark in your new home. However, just a few lighting sources will do, for now, so don’t plan on investing too much just yet. While it’s too early to splurge on window treatments that’ll last a lifetime, you should still make maintaining privacy key. Instead of having custom treatments installed from the get-go, source easy to install and affordable window treatments that’ll do the trick for now. From a new coffee maker to a set of mugs, right now’s the time to focus on daily essentials that you just can’t live without. Because you don’t want your new home too feel too cold or incomplete, stay inspired by immediately bringing in a few personal mementos and treasures for instant warmth and the comforting sense of the familiar. Like we mentioned before, take your time when decorating your new home – after all, what’s the rush? Here are a few items that any trusted interior designer will tell you to hold off on for now. Since a well-designed headboard can make all the difference in bringing your bedroom together while taking time to source, for now, a straightforward bed will do. Rugs can be a major investment and they can also work as a starting point when decorating a room. So shop wisely as you’ll want to get the right foundational rug for every room. Of all the new pieces you plan on bringing into your fresh home, intriguing decorative accessories can be surprisingly elusive. And while they can help finish and punctuate a room, be patient when sourcing decorative accessories with a pared-back approach so the look doesn’t come off as forced.